TART’s mission is to present extraordinary theater in an intimate space, emphasizing the use of classical techniques, in rotating repertory with a resident company of artists. Spaceworks Tacoma is excited to announce the doors are open for the Tacoma Actors Repertory Theater (TART). Artistic Director Jen Tidwell and her team have polished and painted a space inside the Historic Tacoma Armory where they will host intimate theater, and Broadway productions, with local and regional actors. 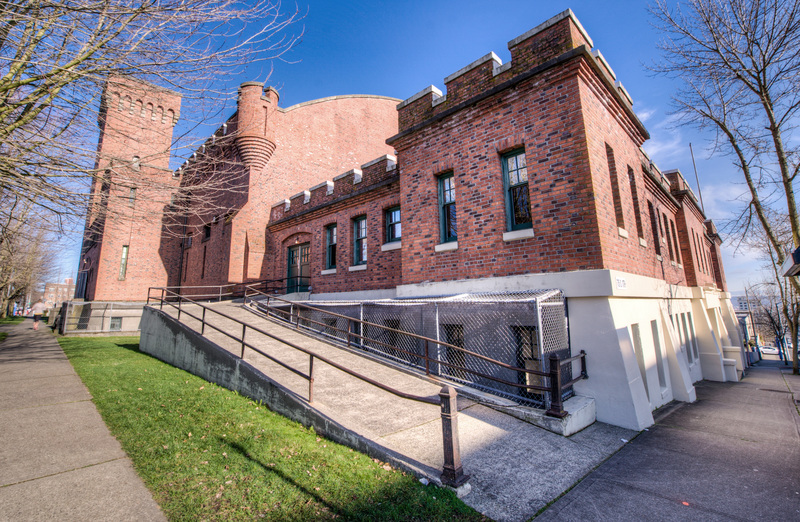 TART will hold performances in the lower level of the Historic Tacoma Armory located at 715 S. 11th Street, Tacoma. This historic building provides a wonderful setting for TART’s inaugural season, while the upstairs main hall has seen a resurgence of activity from the Broadway Center offering it as one of their venues. Join TART for their inaugural season, beginning October 7 with the hit Off-Broadway play Three Viewings by Jeffrey Hatcher, followed on October 14 with the riotously funny Broadway musical hit [title of show]. Both shows run in rotation through November 8 with evening performances at 8 pm and matinees on Saturdays and Sundays at 2 pm. Performances are inside the Historic Tacoma Armory located at 715 S. 11th Street, Tacoma. Tickets are $25 general admission and $22.50 for student/senior admission. The shows are professionally produced and performed with the participation of Actor’s Equity Association, the professional actors’ union. Tickets may be purchased in advance at the Online Box Office, or at the door day of show. The season continues in November with a performance of Charles Dickens’ A Christmas Carol followed by The Farndale Avenue Housing Estates Townswomen’s Guild Dramatic Society Production of ‘A Christmas Carol’. Spaceworks Tacoma has provided Tacoma Actors Repertory Theater with business training, one-on-one consultation, and marketing support, making them part of an impressive roster of 50 small creative businesses operating in Tacoma thanks to the support of Spaceworks.